Enjoy! As described by Boram... 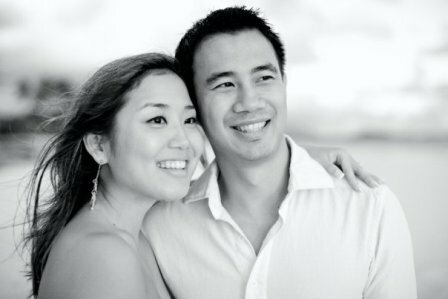 When David came to visit while I was in Hawaii on a 6 week rotation for pharmacy school, we decided to get our engagement photos done as well. 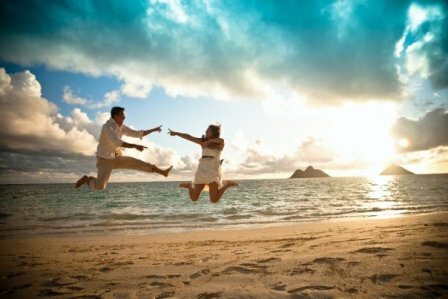 I spent hours researching photographers in Hawaii and decided on photojournalistic wedding photographer~ Julia Sieber Sieber Studio. 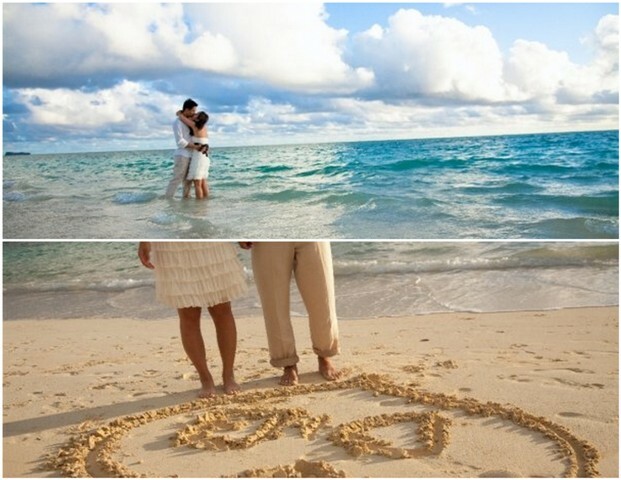 We all agreed... Lanikai beach would be the best spot for our e-session. We needed to wake up at 3:30 am... It's a miracle that we don't look too sleepy in these photos! From beginning to the end, you can see the progression of a sunrise. Lanikai Beach has been named one of the most beautiful beaches in the world. David and I had already been there a few times and we absolutely love that beach. It's located in a small town named Kailua and you can pretty much walk all around town by foot. The water is crystal clear and the sand is soft. But most importantly, there aren't that many people on the beach, so we were able to enjoy the romantic time together. We felt like the jumping picture represents our personalities pretty well, so we chose to put it on our Save the Date. Want more of this beautiful couple and location? Please visit Julia's blog to see up close pics in hi-res goodness! 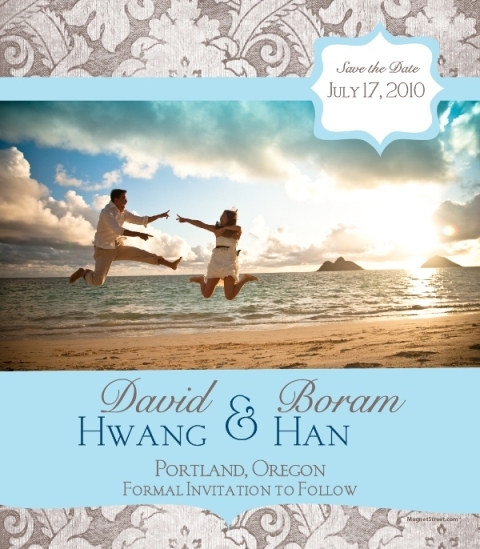 Thank you Boram and David for sharing your lovely e-session with the world! So stunning and a great way to start the week! Submitted 8 years 6 months ago by Heidi. These photos are beautiful! It would be rough waking up at 3:30am, but so worth it!! Gorgeous! I loved their e-session! So so pretty!